A picture says it all? Is it possible to assess the amount of food wasted by coding photographs of household food waste? This study examines the validity of this measurement method and finds that the method appears promising for application in studies examining household food waste levels. The study shows that coding of photographs of food waste can provide a valid estimate of food waste. In the study, nine coders each estimated 104 food waste instances from photographs. The food waste instances were structurally varied in food amount, food density, size of the container (plate, glass, bowl, pan) and food category. 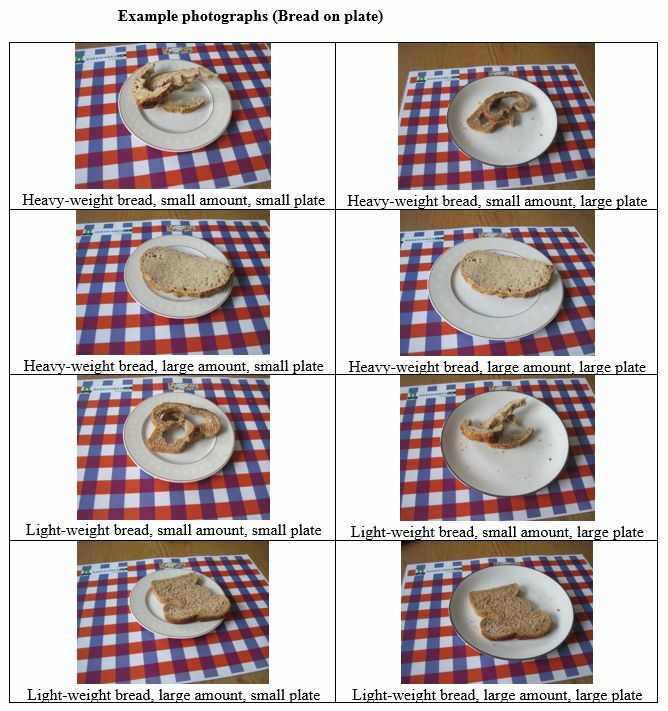 Comparison of estimated weights with actual weights show that coders can accurately estimate the weight of food waste from photographs, without general over- or underestimation and with satisfactory correlations with actual weights. If you are interested in this paper, you may also want to read: Comparing wasted apples and oranges. An assessment of methods to measure household food waste.